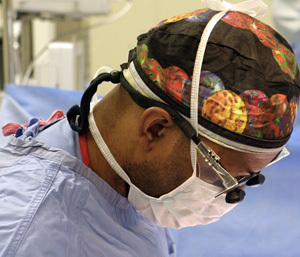 General Surgery may sound basic, but it’s anything but simple. Dr. Elijah Mobley is a top general surgeon who services patients in Victorville and throughout High Desert. Patients who require general surgery typically are experiencing issues in their abdominal region or their torso. As an expert general surgeon, Dr. Mobley is experienced in working with many different organs in the body, including the stomach, colon, liver, esophagus, intestines, gallbladder, pancreas and thyroid glands. Dr. Mobley also works with patients who are suffering from skin disease, breast disease and hernias. Dr. Mobley is a qualified surgeon who can perform a wide variety of procedures on patients with expert skill and precision. He notes that while some general surgery procedures are planned in advanced and prepared for ahead of time, some other general surgery operations must be performed on an emergency basis. Patients who need emergency treatment can trust Dr. Mobley to complete their operation in a calm, cool and efficient manner. He performs best under pressure, and knows what type of treatment a patient needs within a matter of seconds. Ultimately, this ensures the best results for the patient and can typically mean a quicker recovery time. Patients who discover they need an operation done on a non-emergency basis will be referred to Dr. Mobley by their general practitioner or family doctor. During a free consultation appointment, Dr. Mobley will examine the patient and assess the diagnosis. He will work with the patient in order to develop a surgical plan that works for him or her. He wants to ensure that every patient understands the surgery they are about to undergo, and the implications of such a procedure. Patient education is a top priority for Dr. Mobley. Most patients will have their operations performed in the hospital, but some minor procedures can be done in the actual doctor’s office. The type of procedure and the extent of the surgery will determine the length of stay that is required in the hospital after the operation. Dr. Mobley is known throughout the region for his personable nature and caring, attentive bedside manner. Patients enjoy working with Dr. Mobley because they can trust his surgical expertise and his precise skills while also developing an effective patient-doctor relationship with him. For more information, set up a consultation appointment today.